Goodyear Tires & Auto Repair provides Santa Cruz Daewoo owners with an unparalleled level of service.Most repair shops do not service Daewoo, since it was bought by GM, and is no longer manufactured. We continue to support Daewoo owners through our Santa Cruz auto repair shop. If you own a Daewoo, you will find a full range of diagnostics, services, and repairs. Our ASE certified technicians can perform all manufacturer recommended services, as well as perform advanced diagnostics and repairs. 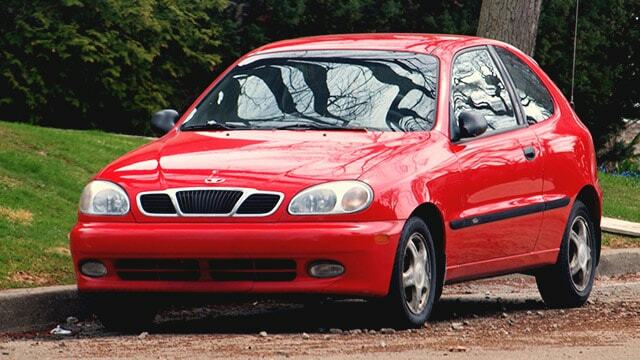 As your Daewoo gets older, we highly recommend regular oil changes. Regular oil service extends engine life, and keeps your vehicle performing at its best – it also gives us a chance to inspect belts, hoses, tires, adjust tire pressure, and gives us an opportunity to catch impending problems before they lead to breakdowns. Our friendly staff is looking forward to meeting you and your Daewoo. Scheduling appointment is easy – just give us a call, or set up an appointment online.